By using subscription to spread the cost monthly, you have complete control; on what you spend. There are no hidden costs making it easier for you to budget and not overspend. Looking after your cash flow with subscription and no large % fees will take the financial pressure off essential recruitment. We will manage the whole process for you. Write and place the advert and job spec with your sign off. Sift all the applications and design a short list.Advise on interview best practice and handle the offering process. We are taking the stress away from you and your hiring managers. They need to focus on what they do best, leave recruitment to us. You have full control and final say on the interview process. The employment decision remains with you. You will essentially have another member of staff who will deal with all things related to recruitment for you. They will be part of your team and anything related to recruitment can be outsourced to them. They will sit as part of your company structure and really understand your unique business and the ethos. In turn, your dedicated account manager can then sell your company to prospective employees. We are the recruitment experts and will help and advise you. We know the market and can advise on salaries and the ever-changing job seeking market. As our unique proposition of being part of your business we are here to support and advise from an internal and external perspective. This partnership is built on trust. At Myinternalrecruiter.com we have experience of being recruiters and hiring managers, we can see the process from both sides. As part of your business we will strive to find you the right candidate for your unique situation. 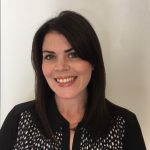 We pride ourselves on being honest and accountable. .
After graduating from Edinburgh university Rebecca moved to Leeds and started her recruitment career. With eight years recruitment experience working across various and varied sectors Rebecca has a talent to immediately ingrain herself in your business and find the right candidate for you. 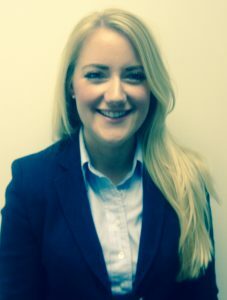 Rebecca has held senior management roles for five years and recruited into her own large teams. She will work with you and your teams on your recruitment strategy. We all know getting the right people will help your business grow. Recruitment and retention need to be integrated into all departments and Rebecca will come up with a plan to work with each department. Outside of work Rebecca loves to travel, and a glass or two of red wine.